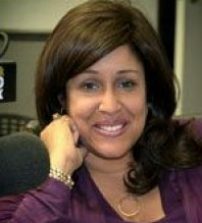 Lana K. Wilson-Combs attended San Francisco State University and graduated with a Bachelor's of Arts Degree in Radio/Television. After that, she worked three years as an entertainment writer and columnist for the Sacramento Union newspaper. In addition to publishing her own Web site, N2Entertainment.net, Lana is the on air movie critic for Sacramento radio station 1530 KFBK AM and 93.1 FM. Her movie reviews can be heard on the Kitty O’Neal show every Friday at 6:40 p.m. Lana also has more than 20 years as a journalist. For the past several years, Lana has been chosen by the NAACP to serve as a member of the NAACP Image Awards Nominating Committee to vote on the year's best movies and actors. In addition to reviewing movies, Lana writes celebrity feature stories for The Sacramento Observer newspaper. She has interviewed everyone in the entertainment industry from producers and directors such as Wes Craven, John Singleton and Peter Jackson, to celebrities such as Naomi Watts, Reese Witherspoon, Halle Berry, Denzel Washington, Ben Affleck and Tom Cruise.